Coffee for us is always hot degree coffee. Eventhough cold coffee is very famous in Restaurants, for some reason we don’t try it cold. 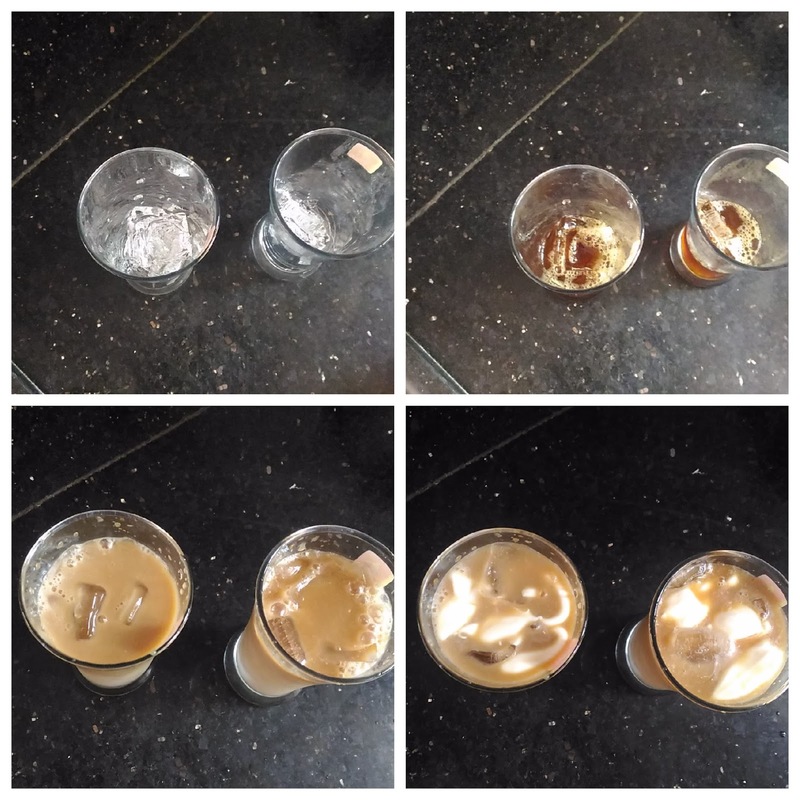 Thai Iced Coffee is easy to make recipe and the taste is more like Madurai Jigirthanda. I strongly insist not to miss this in this summer. 1. In a bowl, add ¼ cup of coffee syrup, condensed milk and milk. Mix them well with ladle. 2. Bring them to boil. Immediately switch off the flame. Allow it to cool down completely. Then refrigerate it for 2 hours. 3. Keep the remaining coffee decoction in a refrigerator for 2 hours. 4. Add few ice cubes in a tall glass. Then add 1 tbsp of coffee syrup (from 3) and ½ cup of the coffee mixture (from 2). Finally add 2 tbsp of fresh cream on the top. Don’t mix them. Serve as it is. 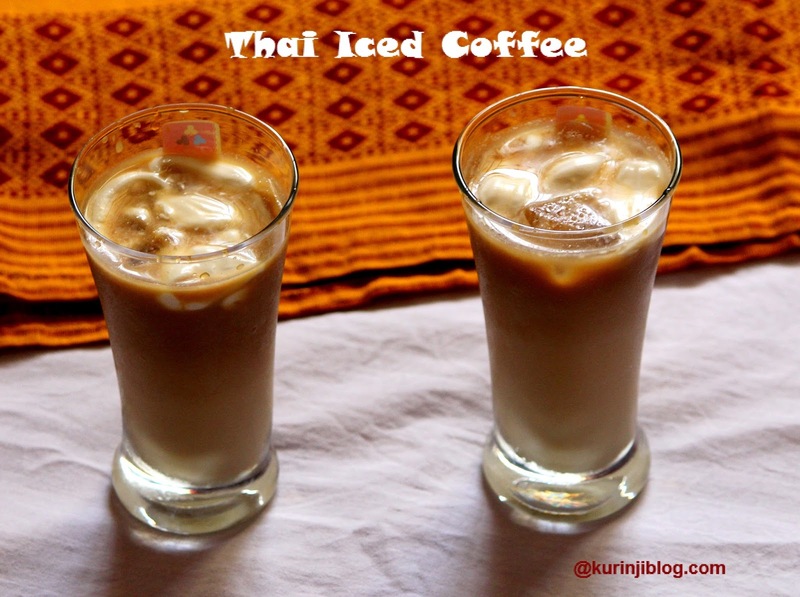 Wow yummy and delicious Thai Iced Coffee is ready to sip. 1. I have used Amul fresh cream for this recipe.